James Porter & Jewellers was founded in 1858. James served his apprenticeship with Breckenridge watch and clockmakers Kilmarnock. At the age of 21 he moved to Glasgow and started a successful business account to the watch trade. James worked in several locations on both Gordon and Buchannan Street in Glasgow city centre before opening his own store at 134 Argyll Street. Due to a city bank failure at the time he was however forced to sell these premises. In May 1887 he went on to purchase 25 Argyll Arcade, which is now the heart of the store today. 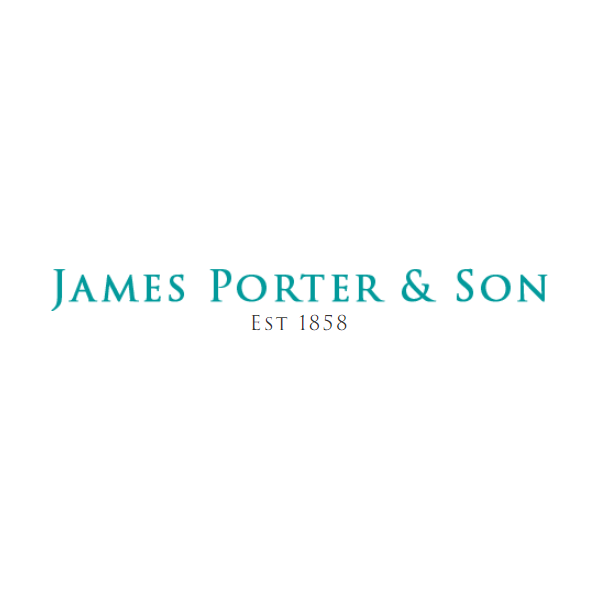 10 years after purchasing number 25, James’s son Gabriel joined the family business, and in 1905 the name officially changed to James Porter & Son. In 1920 James went on the purchase number 26 Argyll and extended his original premises, then continued his expansion again in 1928 with the purchase of number 24 Argyll Arcade. This footprint is now our flagship store, some 90 years later. In 1963 12-14 Argyll Arcade was acquired and by this time the firm were specialising in diamond rings jewellery and watches. The Argyll Arcade is synonymous with the jewellery trade in Scotland now, but that wasn’t always the case. It opened in 1827 as a covered shopping mall in the Parisian style to provide a link between Argyle and Buchannan Street. Since James Porter founded the business in 1858 it has been dutifully handed down from one generation to the next. We celebrate our 160th year in business with Simon, the 5th generation Porter at the helm where he has been looking after the business for the last 10 years, since taking over from his Father. The jewellery business is always changing and growing and while we remain traditionalists at heart we always aim to keep our approach to it modern. We are Official StockistsThis means all of our stock comes directly from the manufacturer and therefore comes with the correct instructions, packaging and valid guarantee. Many sites out there, who are unable to obtain official account status, will NOT include the official guarantee. Next Day DeliveryIf you order is placed before 2pm Monday - Friday we will endeavor to dispatch your item the same day. The item should arrive before 1pm the following day. We will send it FREE, via Royal Mail Registered Deilvery service. A tracking number will be emailed at time of shipment. All Orders Sent from UKWe stock all products listed on this site from a UK secure premises. We do not ship from any other country, and we do not 'dropship' from manufacturers and can therefore guarantee delivery times. You buy from us confident in the knowledge that your purchase is in stock and shipped securely. Full Refund PolicyIf for any reason you are unhappy with your purchase, as long as it is in original and unworn condition, you can return it to us for a full refund within 7 days of delivery. Refund policies are extended over the Christmas period to allow your recipient to make up their mind. 100% Genuine Jewellery & WatchesEvery item sold by James Porter & Son is a 100% genuine item supplied to us directly from the manufacturer. We do not sell second hand or replica watches. Established Since 1858We are a family run company who have been in the business of selling both watches and jewellery for over 160 years.